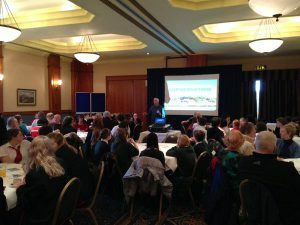 Over 650 people took the trouble to take part in a week long programme of workshops and walkabouts to identify Carnoustie’s strengths and weaknesses, and to inform the development of a Report identifying key projects which could contribute to the environment, infrastructure, economy, and wellbeing of Carnoustie ( click here for the full Report – PDF file). The week’s activities were facilitated by a small team of professionals from the fields of architecture, planning, and town centre management, and jointly funded by the Scottish Government and Angus Council. Town charrettes have now been held in most of the Angus towns. The body set up to promote the interests of Carnoustie and District, Carnoustie Community Development Trust, has been established as a not-for profit Limited Company with its own Articles and Memorandum of Association setting out its constitution ( click here to view the full Articles of Association), which provides for a full Board of up to 12 Directors. To allow it to be formally established, it was necessary to create an Interim Board of volunteer Directors (click here for details of CCDT’s Board of Directors).